A Will To Live- Holiday Blog! Today is the 24th of December and I’m sitting by the fire watching “It’s A Wonderful Life” as I typically do on Christmas Eve. Yes, it’s Christmas Eve, my favorite day of the year. What makes today even more special is that it is also the first day of Hanukkah as well. Tonight so many of God’s creatures celebrate love and hope. While watching the antics of George Bailey on this timeless movie classic, I’m reminded of the very first activity the Will to Live Foundation ever had just 2 months after we lost our Will to depression and teen suicide back in 2010. “Who’s Your Clarence?” we termed the night after a phrase I used in a speech to the FCA group at Northview High here in Johns Creek, GA just a few weeks after Will died. My logic with “Who’s Your Clarence?” was clear to me, and I thought I’d be able to get these kids to recognize love in their lives through this movie and this “Who’s your Clarence? concept. The last half of It’s A Wonderful Life, centers around George Bailey going through some terrible difficulties in his life, to such an extent that on Christmas Eve he is about to throw it all away by jumping off the Bedford Falls bridge into the icy waters below. 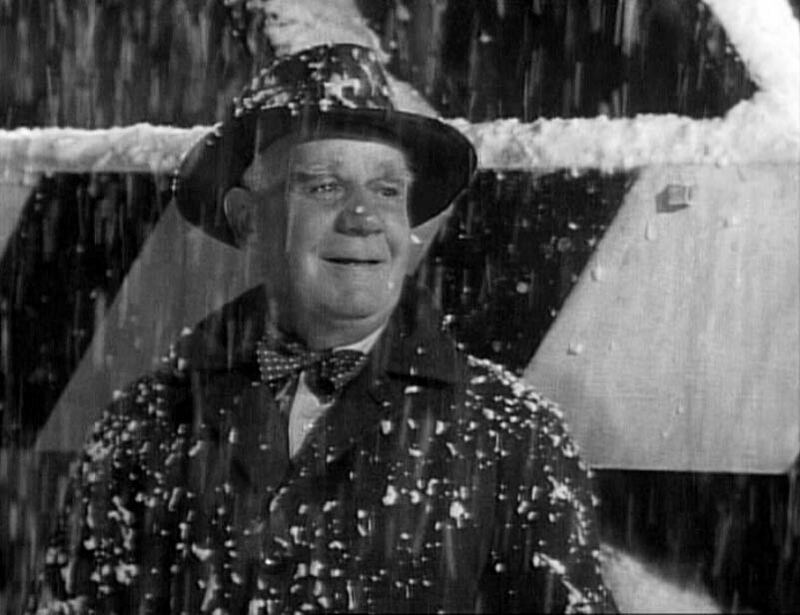 It’s at this point in the movie that his Guardian Angel, Clarence, appears and makes the brilliant decision to jump off the bridge before George. What I’ve learned through the Will To Live Foundation, is what Clarence was banking on – ‘the more you give, the greater the Will To Live.’ I say it in every speech I make throughout the year. Clarence knew this and as a result, he knew that if he jumped off the bridge first, the “helping reflex” within George would take over from the “suicide reflex” because there is no stronger power than the power of giving. Clarence was right and George immediately sprang into “help” mode when he saw this little old man crying for help after jumping into the river. The suicide thoughts that were consuming him, disappeared and as a result, George jumped in to help a friend in need. Be somebody’s Clarence means you play the role of the Guardian Angel in your friends’ lives. Yes, Clarence helped George and that improved George’s life, but I think we often fail to realize what helping George did for Clarence. When you help someone, when you give of yourself, your own troubles dissipate in the goodness of giving, and you simply feel better. I live this every day. This is my son Will’s gift to me. His life and death and the resultant foundation has taught me that the more you give, the greater the Will To Live. By helping George, Clarence won his wings. By helping our friends, we win “hope” – perhaps the most needed ingredient in increasing our own Will To Live. So our Christmas wish this year – our Holiday wish this year – is quite simple. We wish that each of you have the opportunity to Be Somebody’s Clarence and feel the true joy of giving. This holiday, this New Year, be the one who says, “I love you” first and you’ll get more out of it. Be the giver in the “love ya man” transaction! So on this wonderful night of love, hope and GOOD WILL toward men, whether your celebrating Christmas, Hanukkah or just life itself, I ask you to simply Remember 13 and Love Each Other, and if you are ever in need – well, I’ll Be Your Clarence!